America’s rural scene is buzzing with metal outdoor buildings. 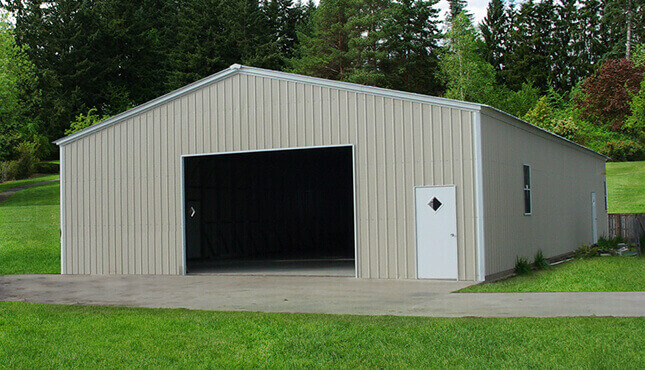 Everywhere you drive, you can see metal garages, lean-to buildings, loafing sheds, and carports occupying the scene. 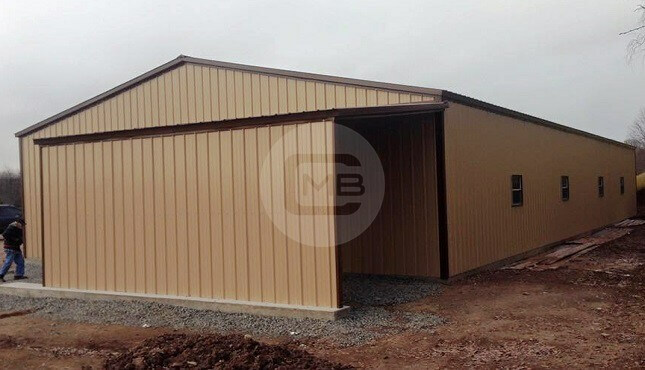 And metal buildings aren’t just for country folk; more and more people in town are finding the value of these buildings that are easy to install, have versatile usage, are built to last, and are more economical and cost-effective than comparable stick-builds. 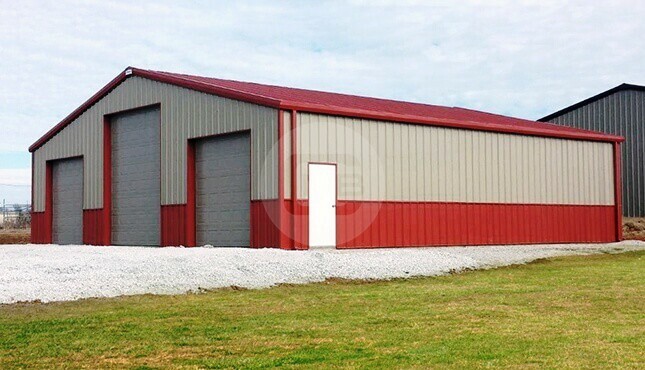 Imagine: with our 40’x50’ steel building, you get almost 2000 square feet of usable space! Your imagination is the only limit to how you can customize this space to make it both beautiful and functional. 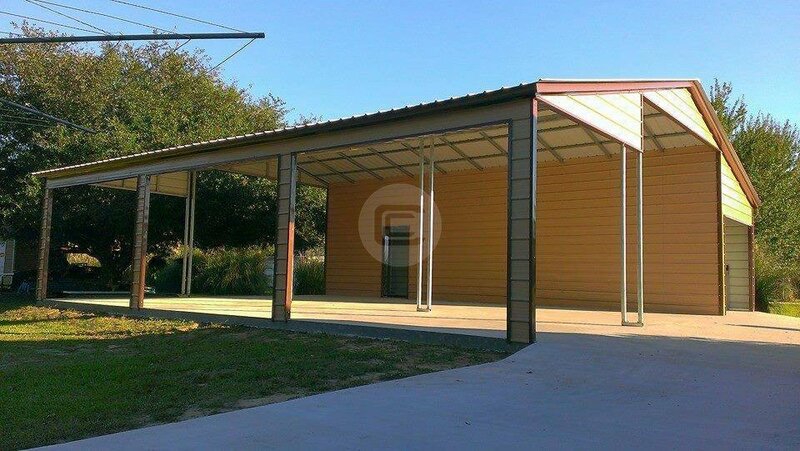 Our satisfied customers have chosen to use their new building as everything from a storage space, to an equipment shelter, to an RV cover, to a guest cottage! HAVE MULTIPLE USES IN MIND FOR YOUR BUILDING? NO PROBLEM! Honestly, we have some very creative customers! 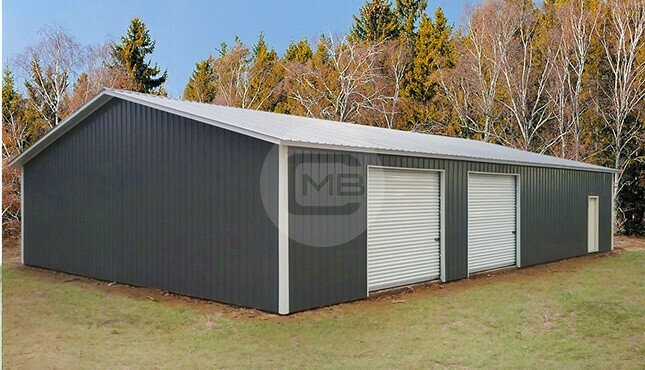 Many have chosen to divide their 40’x50’ metal garage and climate control only the occupied sections, reducing the costs of both insulation and heating. They have built private home offices, men dens, man caves, and she sheds, as well as theater or media rooms where you can watch the game or a movie with your buddies. The remaining space is set aside for storage of wanted-but-infrequently-used outdoor and house equipment. 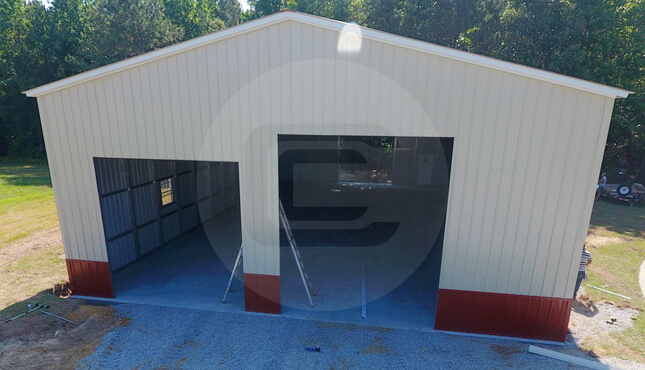 A separate walk-in door on the end wall leads directly into the storage unit. 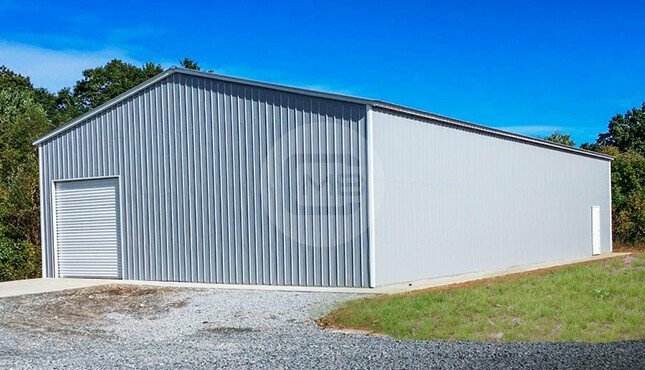 This way, if you use the other part of this 40’ X 50’ metal building as a guest house or a meeting room, your family can still have access to the private storage unit without disturbing the guests or invade the meetings. 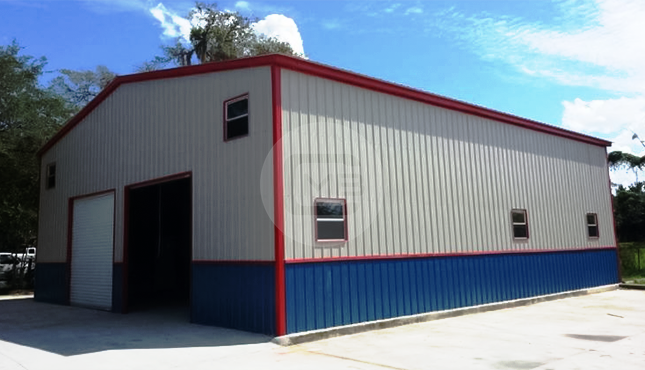 We have seen many customers use our steel buildings for commercial and light industrial applications. 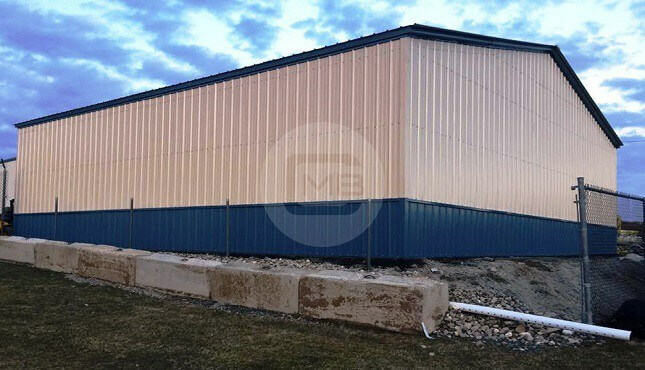 Our 40’ X 50’ metal buildings can be used for cafeterias, restaurants, chic boutiques, a computer store, a welding shop, a dental office, or a muffler and brake shop. Our customers have also used these buildings as climate-controlled employee break zones with café areas including a kitchen, bathrooms, and comfortable seating for 30-40 employees! There really are no limits. 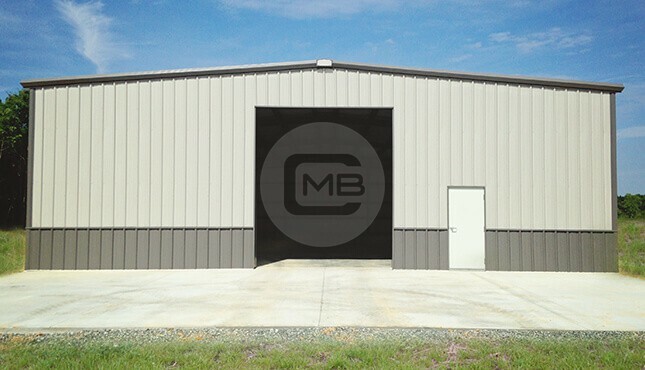 It’s all about the design choices you make for your unique business enterprise or personal-use metal building. Whatever your vision for a building, just give us a call at (980) 321-9898. 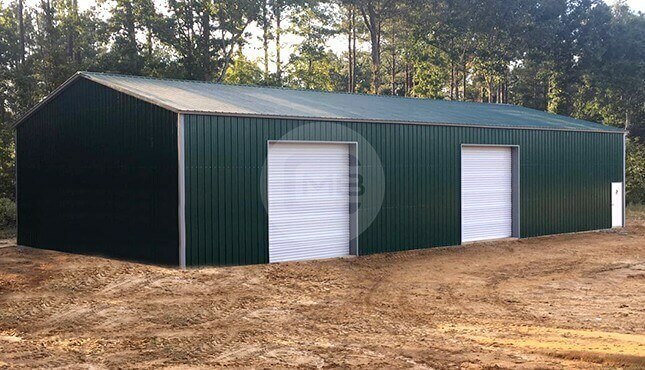 Let one of our friendly and knowledgeable metal building specialists help make your vision a reality!